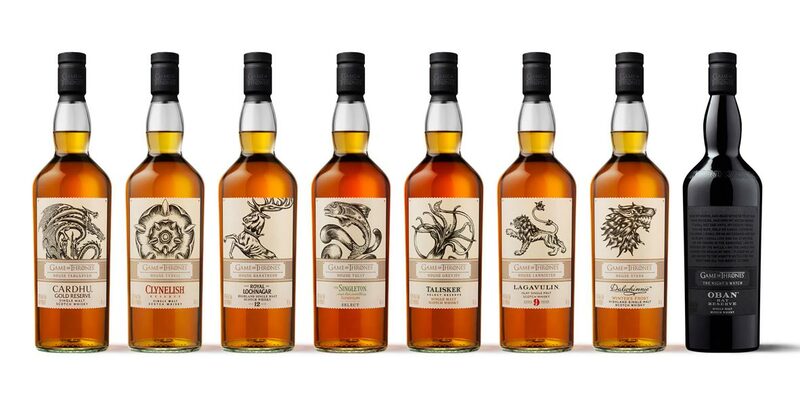 Back in the Autumn, leading Scotch whisky producer Diageo announced that they would be releasing eight new single malts to celebrate the eighth and final season of hit TV show Game of Thrones. These have been created in partnership with HBO, the show's producers. A Diageo distillery has been paired with each of the seven iconic Houses of Westeros in Game of Thrones, plus the Night's Watch. After an initial release in America last year, the whiskies are now due for release in the UK and Europe from mid-February. Many retailers are now taking pre-orders. 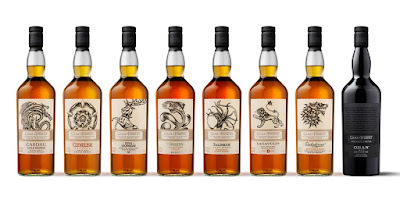 Details of the eight bottlings are listed below. Six of the whiskies have been specially created for the collection, with the exceptions being the Cardhu and Royal Lochnagar expressions - these are the whiskies that are regularly on sale but have been repackaged for this. The American whiskey brand of Old Forester has announced a straight rye expression to join its bourbon range. 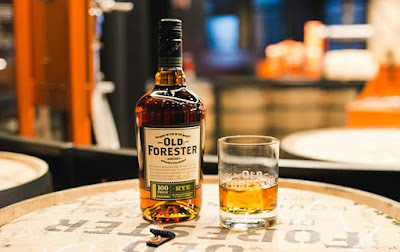 The whiskey has been created by Chris Morris, the Master Distiller for Old Forester, and Jackie Zykan, the Master Taster for owners Brown-Forman. It has been inspired by an old recipe for Normandy Rye whiskey and has a mash bill of 65% rye, 20% malted barley and 15% corn. Old Forester Rye has been bottled at 50% ABV (100 Proof) and will be available across the USA from the beginning of February. Details for other markets will follow. A bottle will retail at $23.